We’re more than happy to provide the following services. If you have a media related need that isn’t listed here, please feel free to call or email us. 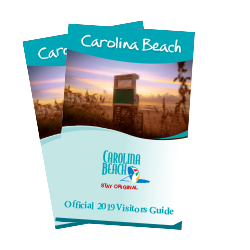 Provide background information on Carolina Beach, including attractions, accommodations, restaurants, meetings and conventions, weddings, shopping, entertainment, watersports, fishing, outdoor adventure, travel-related services and more! Online image library - Provides images of Carolina Beach upon request. Restrictions apply. Please contact us for image library instructions. Assist journalists and editors with assignments and suggest a wide range of story ideas.